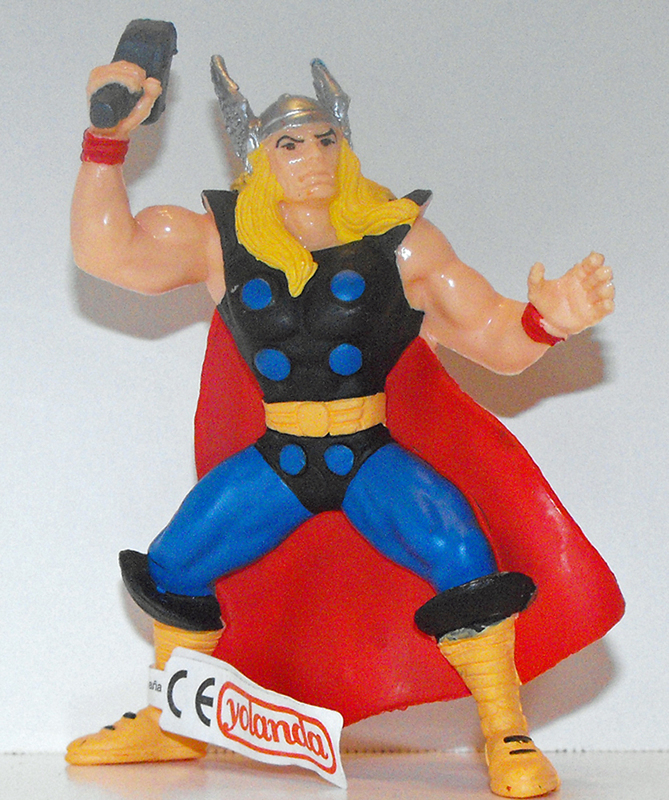 Thor Super Hero Figurine, 4 inches tall. The figure is made of plastic and made by Yolanda. Brand new, comes loose without any packaging but does come with a Yolanda tag.